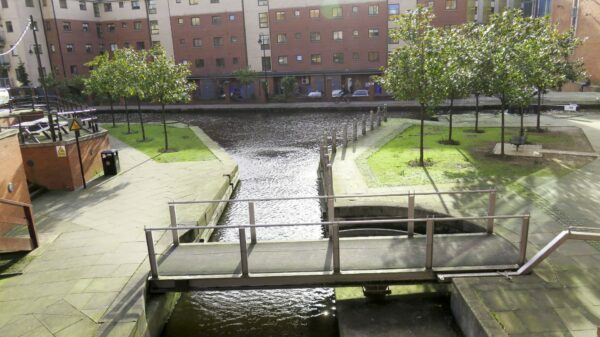 Looking back towards the junction with the Rochdale Canal near the middle of the Rochdale Nine Locks. Ducie Street Junction is uphill to the left, Castlefield Junction is downhill to the right. The swing bridge is fixed to prevent navigation along the short remaining length of the Manchester & Salford Junction Canal which is intended to be ornamental rather than navigable.